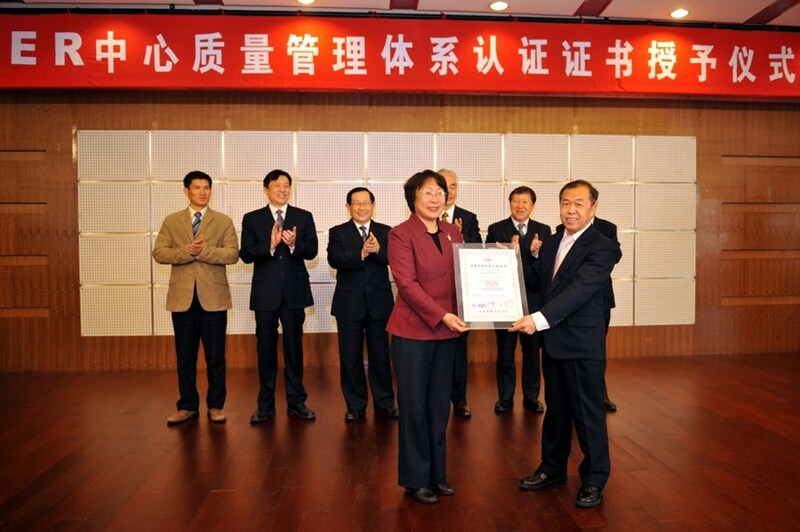 Certified: The Chinese Domestic Agency now has a recognized standard for quality management: ISO9001. The Chinese Domestic Agency for ITER has obtained ISO9001 certification, an internationally recognized standard for quality management. 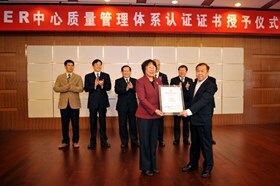 At the accreditation ceremony held this week in Beijing, which was attended by ITER Director-General Osamu Motojima, the Vice President of the Chinese People's Political Consultative Conference and Minister of MOST (Ministry of Science and Technology), Wan Gang, commented: "This certification reflects ITER China's careful efforts in the establishment of a quality management system that meets the requirements of international mega-science projects like ITER and is a major milestone in the management and implementation of commitments to the project, in particular procurement packages." 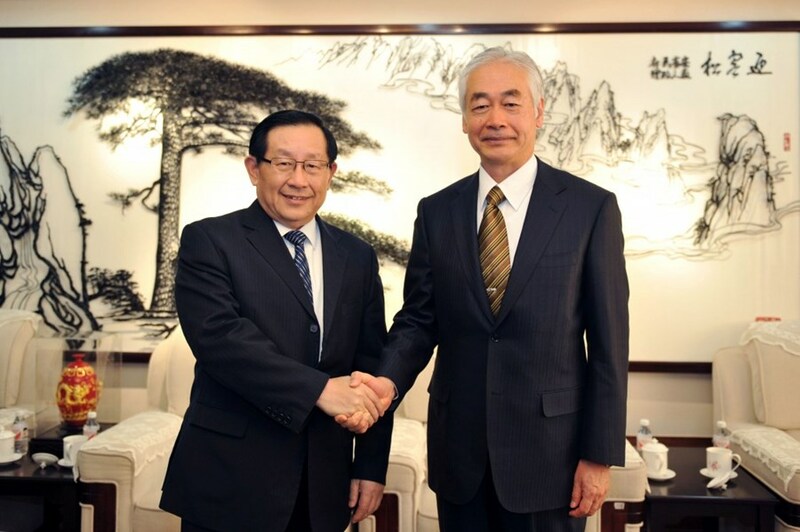 The ITER Director-General and the Vice President of the Chinese People's Political Consultative Conference and Minister of MOST (Ministry of Science and Technology), Mr. Wan Gang. Two other events were held in Chengdu this week: the first ITER China Forum and the Visiting Researcher Training, a three-day event with over 100 participants from domestic universities and institutes. Both events, explained Cao Jianlan, Vice Minister at MOST, are intended to create incentives for fusion: "As a developing country, China is not a front-runner in the development and research on fusion energy. Only with the participation in international mega-science projects like ITER can China strengthen its capabilities and contribute to the ultimate solution to mankind's future energy problems." 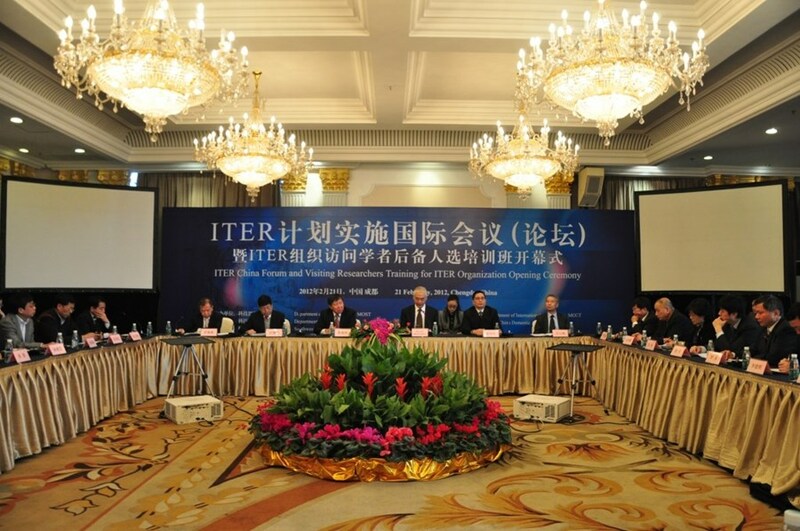 The opening of the first ITER China Forum and the Visiting Researcher Training this week. Present at both events, Director-General Motojima was delighted to see that ITER had attracted the attention of many departments, universities, and even industries. "In my view, the younger generation is the key to the success of ITER. 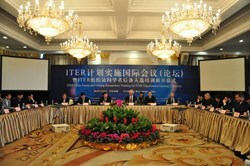 I hope that more and more young Chinese students will be able to participate in the ITER Project."